Professor Harald Sander holds a Doctorate in Economics, Ruhr-University Bochum, Germany; a Master’s degree in Economics, University of Essen, Germany; and a Bachelor’s degree in Economics and Business Administration, University of Duisburg, Germany. Professor Sander has worked as a Senior Economist at the Institute for Development and Peace (INEF) at the Gerhard-Mercator-University, Duisburg, Germany. Professor Sander has been a Lecturer on Economics in several Universities, such as Technische Hochschule Köln, Maastricht University, and Cologne University. Professor Sander has worked and published extensively on international economic integration, international trade policy, European banking market integration, and globalization of banking. He is the author and editor of several books, including a volume on World Trade after the Uruguay Round published by Routledge, and a report on European Retail Banking Market Integration for the Centre of European Policy Studies, a major European think tank. He has been a visiting research fellow to the International Monetary Fund, the Centre for Contemporary Europe Research Centre at the University of Melbourne, and the Global Business Institute at New York University. Professor Sander is currently holding a Jean Monnet Chair of the European Union on Europe in the Global Economy. 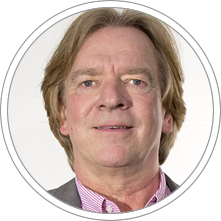 Professor Harald Sander currently is Professor of Economics at MSM and at Cologne University of Applied Sciences, and Associate Professor at CENTRUM Católica Graduate Business School.